A fictional show that features real-life U.S Navy SEAL operations, Act of Valor is an action film that shows real-world heroism in the big screen. The story covers the mission of an elite team of Navy SEALs in rescuing a kidnapped CIA agent where they uncovered a chilling plot with unimaginable consequences. So the elite team of Bandito Platoon race against the clock to foil the plans of the terrorists in addition to balance their commitment to their country, team and families back home. 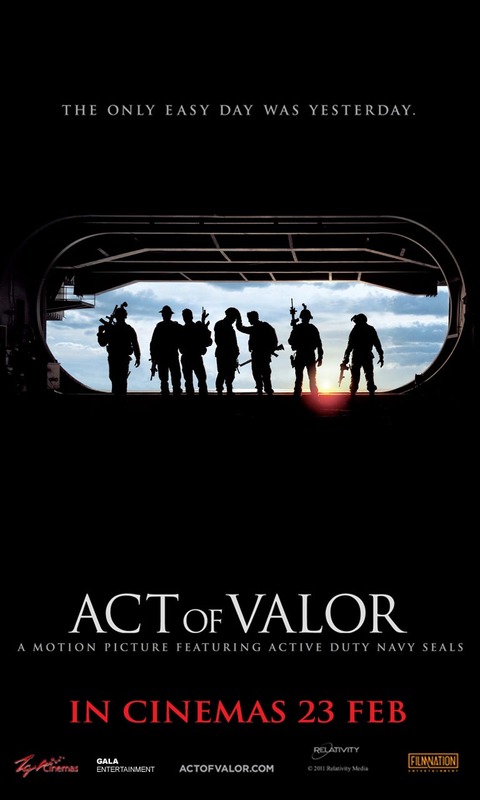 Act of Valor is directed and produced by Mike "Mouse" McCoy and Scott Waugh, co-founder and founder of Bandito Brothers production. They once did a 7 minute short documentary on U.S Naval Special Warfare Combatant-Craft Crewmen (short for SWCC) where they are primarily responsible to insert and extract U.S Navy SEAL teams from/to their destination. 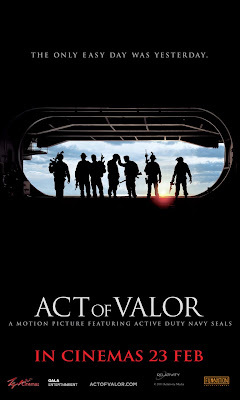 Act of Valor will be in cinemas around Malaysia starting February 23, 2012.